These Southern destinations offer excellent golfing, beaches, and historical attractions with plenty of things to do and see in between. Explore the rustic charm and exciting attractions the region offers all year. One of the busier centers of the Lowcountry is Charleston, the oldest city in South Carolina that was established in 1670. Rich with history spanning more than three-and-a-half centuries, Charleston is the site of many significant successes and hardships during (and in between) the Colonial era, the American Revolution, and Civil War. Many attractions, museums, and tours pay homage to its insightful past, and if you haven’t visited this Southern gem, now is the time. There are two RV parks that we enjoy in the immediate area including James Island County Park and Oak Plantation Campground. 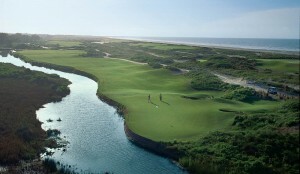 Hilton Head is renowned for its excellent golfing. Every year, countless RV enthusiasts are lured to this region by its Southern charm, exciting events, and many attractions. A journey here begins by reserving a site at two of the more popular RV parks including Hilton Head Harbor RV Resort and Marina and The Hilton Head Island Motor Coach Resort. While each offer many pertinent services and modern amenities, the latter is exclusive to Class A motorhomes. Nearby alternatives include Tuck in the Woods Campground in St. Helena, Stoney Crest Plantation Campground in Bluffton, and River’s End Campground & RV Park on Tybee Island, across the state line in Georgia. If your golf clubs were one of the first items to be packed in your motorhome, you’ll be happy to know that Hilton Head is renowned for its beautifully-sculpted golf courses. More than 20 are championship status, but don’t be intimidated. Many accommodate players of all skill levels. While only 12 miles long and five miles wide, the island is also home to an expansive beach where you can spend afternoons frolicking in the sun or enjoying long strolls along the Atlantic. Fresh seafood can be found throughout the region. 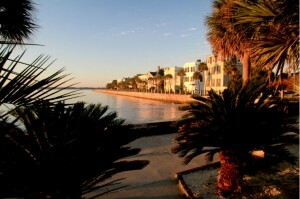 Another Lowcountry hot spot, located 35 miles northeast of Hilton Head Island and 70 miles from Charleston on Port Royal Island, is Beaufort, the second oldest city in the Palmetto State. A popular campground in this area is Hunting Island State Park, located just east of Beaufort. This full-service RV park is situated right on the Atlantic offering easy access to the beach, as well as an eight-mile hiking biking trail. Fishing can also be enjoyed just off the pier at the southern tip of the park. A few miles down the road is Tuck In The Wood Campground while additional RV parks near Beaufort include The Oaks at Point South and The Point South KOA. First-class golf courses are all within an hour’s driving distance. After a day on the links visit downtown Beaufort and take in all of its culinary delights. Restaurants abound, offering fine and casual dining. 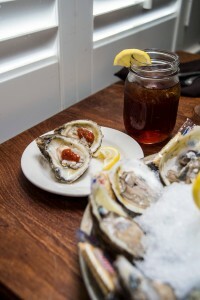 Shrimp and Blue Crab are popular menu items, but if oysters are your thing, the area will be your pearl as the area is known to offer some of the richest oystering on the Atlantic coast. 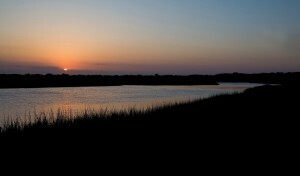 Sunset off Mingo Point, Kiawah Island. With its array of services, ten-mile beach, and scenic landscape, Kiawah Island offers the best of all worlds for RVers. While RV parks are not available on Kiawah, alternate campgrounds can be found in Charleston or other nearby communities, making Kiawah the ideal place for day trips. Take time to enjoy one of the handful of golf courses, spend a day on a fishing charter, or visit one of the many seasonal events, including the Spring Concert Series at Freshfields Village, The Freshfields Village Easter Festival, the popular Gourmet & Grapes festival, or the Kiawah Island Motoring Retreat & Gala. However, on any given day, enjoy the excellent, dining, shopping and more in Freshfields Village, located at the crossroads of Kiawah, Seabrook, and Johns Island. If the order of the day is just relaxing seaside, pay a visit to Kiawah Beachwalker Park, located on the west end of the Island. Its white sand beach is complemented with picnic tables and grills, a handicap accessible boardwalk, dressing areas, a snack bar, plus seasonal beach chairs and umbrella rentals. It is great to see someone writing about Beaufort. I have lived here most of my life. It is a beautiful city, rich in history. If I may make two corrections to the above. I live full time in an RV located in Tuc In The Wood campground which is a few miles down the road from Hunting Island State Park.. From my location Hilton Head is an hour away. We also have a couple of golf courses here in Beaufort.. Cat Island, Royal Pines, and Fripp Island, all located with in a few mile of my location.. This list does not include the one on Parris Island Marine Depot. Your suggestions are always welcome as we love to hear from our readers. Thanks for your input and clarifying more exciting places to visit and stay in this great area.